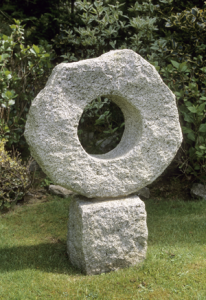 People began visiting the garden over thirty years ago as part of the Co. Wicklow Gardens Festival. Over the years visitors have found this garden a place of tranquillity and inspiration, some calling it a peace garden, others viewing it as a place for reflection and some for celebrations. Several have called it a modern ‘Sacred Space’. It can be a haven for the senses, where: sights of varying shapes and colours that change with the seasons can be perceived; where sounds of birds, animals and water gushing or trickling can be heard; where the texture of shrubs or sculptures, be they wood, iron, stainless steel, stone, bronze, enamel, glass can be felt; where the subtlety of smells and taste buds can be sensed, thus enhancing a holistic and delight-filled experience. Most of the sculptures were chosen because of their strong symbolic content, where each work speaks itself while at the same time evoking, pointing towards, something more than itself: to a further, deeper reality. It is important, however, that every visitor is open to what each sculpture says uniquely to them. Gardens can be considered an art form in their own right. 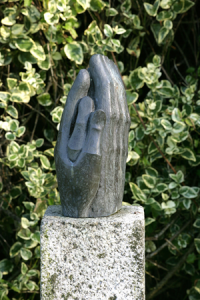 The aliveness quality of plants and shrubs, plus the constant changes that each season brings likens gardens to the performing arts as well as having a similarity with sculpture through their unique use of form, outlines, colour, texture. The garden is suitable art lovers and garden enthusiasts as well as for individuals or groups (5-20) who want to spend a reflective day in a beauty-filled setting. Picnics are welcomed. 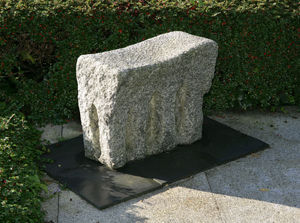 Shekina Sculpture Garden is owned by the National Parks and Wildlife section of the Department of Culture, Heritage and the Gaeltacht.